“Hearts Beat Loud” (2018). Cast: Nick Offerman, Kiersey Clemons, Ted Danson, Blythe Danner, Toni Collette, Sasha Lane, Quincy Dunn-Baker. Director: Brett Haley. Screenplay: Brett Haley and Marc Basch. Web site. Trailer. Frank Fisher (Nick Offerman) is restless.  A onetime musician who’s now approaching middle age, Frank spends his days running a vintage vinyl store in the Red Hook section of Brooklyn, a business that’s slowly going under, something that he’s not entirely sorry to see. While Frank definitely possesses an encyclopedic knowledge about records of every stripe, he nevertheless itches to make music of his own again. Thankfully, he’s got an outlet for that with his teenage daughter, Sam (Kiersey Clemons), a bright, talented musician in her own right. Like a kid on Christmas morning, he gleefully looks forward to their jam sessions together. But, despite the joy and fulfillment these sessions provide, as soon as they’re over, Frank quickly feels the weight of reality crashing down on him. For instance, as talented as Sam is musically, she has her heart set on attending UCLA, where she’s been accepted into the pre-med program. Frank can’t help but wonder whether she’s tossing her talents aside (not to mention the fact that he feels her decision to leave him behind is like someone stealing his favorite toy). And, if that weren’t bad enough, he also has to contend with the responsibilities of being a single parent, caring for an aging mother (Blythe Danner) with a penchant for shoplifting and winding up the affairs of a failing business. To cope, Frank seeks solace at the neighborhood tavern, bouncing ideas off the resident bartender, Dave (Ted Danson), a quirky, carefree sort with a unique wisdom. He also enjoys spending time with Leslie (Toni Collette), the landlady who owns his storefront property, a kind-hearted soul who seems to have his best interests at heart, even though the exact nature of their relationship is somewhat ambiguous. But, such support aside, Frank still spends much of his time trying to figure out things on his own. 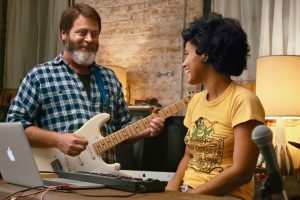 Frank Fisher (Nick Offerman, left) and his daughter, Sam (Kiersey Clemons, right), make great music together in the feel good new comedy-drama, “Hearts Beat Loud.” Photo courtesy of Gunpowder & Sky. Through the experiences of Frank and Sam, viewers witness the hard choices that artists of all kinds must address in developing their careers: How hungry are we? Are we truly willing to make an all-out effort to pursue our craft? Or are we going to let other interests and everyday considerations get in the way, potentially derailing our shot at artistic success? 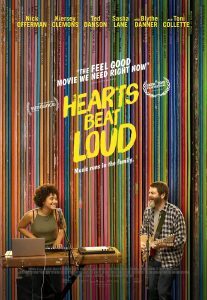 “Hearts Beat Loud” examines what it means to wrestle with these ideas. The choices involved in these decisions may not be easy ones, but the power to make them is clearly in our hands, and that’s something we must never lose sight of. Choice, of course, is a crucial consideration in making use of the conscious creation process, the means by which we manifest the reality we experience through the power of our thoughts, beliefs and intents. And, given the circumstances of the two protagonists, choice is something they’re far from wanting. Each of them has a number of options to examine, each of which is viable in its own right. But which ones are the best for them? That depends on the beliefs Frank and Sam hold and what they hope to realize from those choices. Fortunately, Frank and Sam are each astute enough to recognize their various options, a testament to their ability to see past accepted limitations, one of the greatest hindrances to the formation of truly creative manifesting beliefs. For instance, while Frank makes plans to close down his business, he’s offered an unexpected option to keep it open. Even though the specifics of the option didn’t originate with him, on some level, he put out a belief to make this outcome possible, a gesture that subsequently drew it to him. Whether or not he embraces the idea again comes back to the concept of choice, but, whatever he decides, the outcome stems from the beliefs he holds and what he considers to be the best prospect for him. An element that plays an important role in any of these decisions is facing and getting past our personal fears, for they hold us back and keep our manifesting beliefs from activating. As a type of belief in themselves, fears often materialize as the absence of what we’re supposedly seeking to achieve. This illustrates their importance to the functionality and effectiveness of the conscious creation process. If we’re unable to get past them, we won’t be able to manifest what we believe we want. This is a particularly important concern for Sam. Does she have enough confidence in herself to pursue a musical career? But what if it doesn’t work out – will this be a mistake not only in itself but also as one that potentially derails her shot at becoming a doctor? 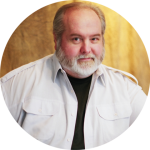 Such fear-based considerations are potentially paralyzing from a belief standpoint. In extreme cases, they may even prevent us from making decisions at all, leaving us with nothing. This is why it’s so crucial to dispense with these concerns as conscious creation practitioners. Life, choice and creativity all involve a certain inherent amount of risk, but, if we’re unwilling to address it, we may find ourselves filled with regret when we end up empty-handed. One way to counter this consideration is to trust our intuition. It’s one of the key components that helps us aid the formation of our beliefs, if only we’ll heed what it has to say. Frequently we dismiss its impact, because it’s seen as illogical and irrational. Yet, as we often find out, it serves us well and proves to be right on target. And it’s not as if Frank and Sam don’t have any experience with it, either. When they write their songs, for example, it’s obvious that their ideas come to them from a source other than intellect, and they never question this inspiration. If they were to apply this same principle to their other pursuits, they just might find that it brings them satisfaction on a variety of fronts. And that kind of ongoing success is surely something that will make their hearts beat loud. Director Brett Haley’s touching, fun-filled feel good movie genuinely inspires the artist within each of us. By no means does it sugarcoat what’s involved in pursuing such dreams, but its uplifting outlook and joyful approach to its subject matter definitely fill us with a desire to make the effort at realizing our aspirations. Offerman and Clemons have a great chemistry together, coming across as totally natural and convincing, not just in their character portrayals but also in their fine musical performances. Admittedly, some aspects of the story aren’t as fully developed as they might have been, but that’s a rather small shortcoming in light of everything else this delightful independent release has to offer. Reaching for the top can be quite an undertaking, one filled with a curious mix of excitement and trepidation. But, when one considers the rewards, both creatively and otherwise, it’s hard to imagine not taking the chance to see it realized. Thankfully, “Hearts Beat Loud” provides a thorough, honest and entertaining take on what it’s like to pursue one’s own artistic odyssey. Rock on, everybody!